Starting from Sofia (the Bulgarian capital) we reveal the Western Balkan Mountains – one of the less populated and wild corners of Bulgaria. Here the strong ridge of the Balkan Mountains turns its directions into north – south, with peaks still rising above 2000 m. Here is one of the nominees for the New7Wonders of Nature campaign, Belogradchik Rocks – a group of bizarre sandstone and limestone formations, reaching up to 150m in height. These rocks vary in colour from red through yellow to grey, are a product of erosion. Before reaching Belogradchik we visit Tchiprovtsi – a lovely mountain town at the foot of the great Balkan Range where the old rug weaving traditions are kept alive for which reason they are included in the nonmaterial heritage of UNESCO. 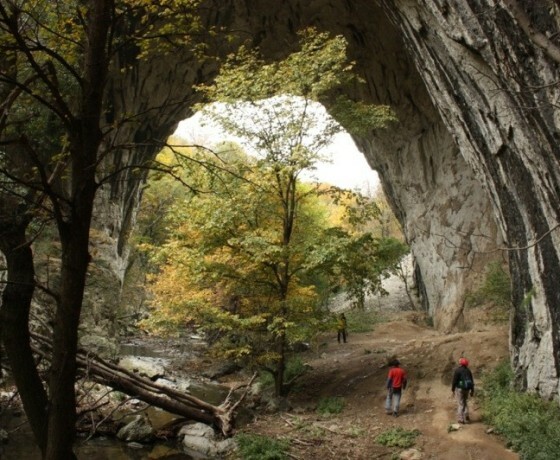 The Vratchanski Balkan Nature Park offers lovely sceneries, rocky valleys, gorges and lots of caves. The Iron Gate, located approximately in the middle of the Danube river course, with its length of 100 km carved through the Carpathian Mountains, is the largest river gorge in Europe. It offers spectacular landscapes, unspoiled nature and abundant evidences of a long and turbulent history. 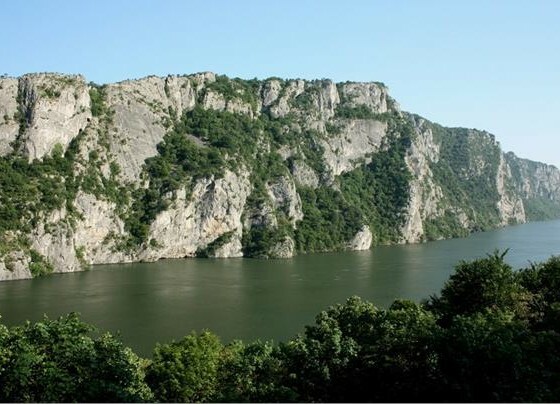 Djerdap National Park and Portile de Fier Nature Park on the Serbian and Romanian banks of the Danube will delight any visitor with their outstanding and abundant flora and fauna, important archeological sites from the Neolithic and Roman period and impressive medieval fortresses. Here we experience the hospitality on both banks of the Danube and immerse ourselves in the unique atmosphere colored by the region’s landscape, nature, culture, music and local cuisine. The Southwestern Carpathian Mountains in Romania are still wild and undiscovered. Enormous rivers form deep gorges; everything is covered with green carpets of beech forests and from time to time – the endemic Banat Pine. Here lots of ethnic minorities – Germans, Hungarians, Serbians, Czechs, Bulgarians meet and live together. The actual poorness and the former socialist, industrial sceneries together with the wild nature and colorful villages, give an outstanding flavor to this region. The tour ends at Timisoara, the “Little Vienna” of Romania. Arrival in Sofia, Bulgaria and direct transfer to the hotel in the centre of the Bulgarian capital. Sofia walking city tour – we see the main attractions – the roman ruins, the thermal springs in the centre of the capital, the National Theatre Ivan Vazov, the Alexander Nevski Cathedral, the Sofia University, the Mosque and the Round church St. George from the 4-th century. Afterwards we have dinner in a traditional Bulgarian restaurant. 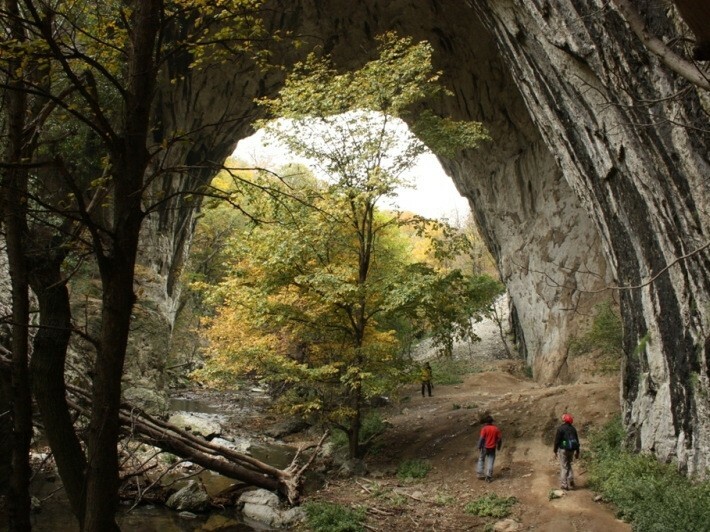 The Vratchanski Balkan Nature Park with its high, up to 400 meters, limestone cliffs is a great place for sports. After a drive through Iskar gorge – the only river crossing the Balkan range – we reach Ochin Dol village(630 m). We follow forestry roads and hiking trails in order to ascend to the highest peak – Beglichka mogila (1482m). Afterwards we descent on bikes to the village of Zgorigrad, beautifully set among the limestone rocks. 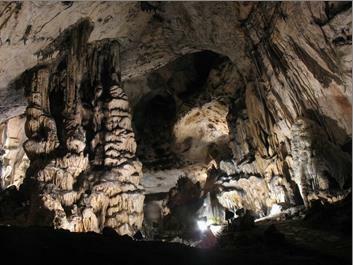 Possibility to visit the Ledenika cave. 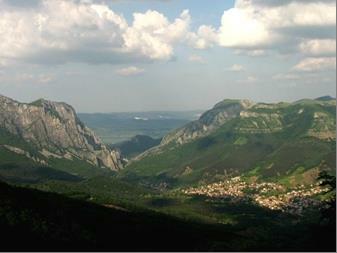 In the morning we can do a short walk in the town of Vratsa and afterward head to the west, transferred by bus. Our hiking and biking today start at the village of Kopilovtsi, where we discover a cascade of several small but very beautiful waterfalls, located on the so called Kopren Ecotrail. Then after a short ascent we reach the valley of Ogosta, where Chiprovtsi is situated. We descent in the valley and have the chance to visit the remnants of a medieval monastery with its old stone cross. Later we arrive in the small Balkan town of Chiprovtsi, famous for its old carpet/weaving traditions. Today’s adventure includes cycling from the town of Chiprovtsi. We follow scenic asphalt roads which take us to the Chiprovski monastery and other small villages on the way. 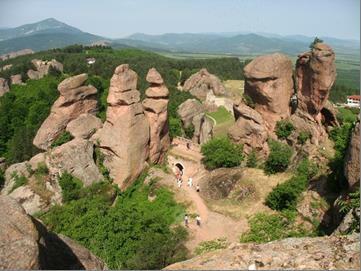 After around 55 km we end up at the Belogradchik Rocks – huge red stone pillars in various shapes watering our imagination feel in a fairy-tale. Afterwards we depart towards the town on foot exploring in depth the bizarre rocks. Today we cross the border to Serbia, but before that there is more to explore in Bulgaria. In the beginning of the day we visit the Magura Cave – famous for its prehistoric paintings, huge walls and plenty of cave formations. Besides that part of the interior is turned into a wine cellar where the local grape varieties can be tasted. Then we continue on bicycle along tiny asphalt roads to the state border between Bulgaria and Serbia. 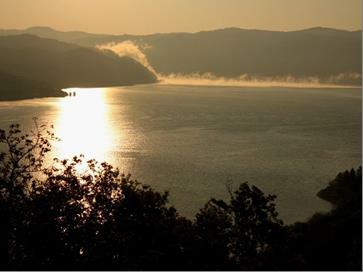 We say “Dovischdane” to Bulgaria and in about 10 km we arrive in the town of Zajchar, situated on the river Timok. Visit of Felix Romuliana – fortified palace of Emperor Caius Valerius Galerius Maximianus, in the late 3rd and early 4th centuries – UNESCO. 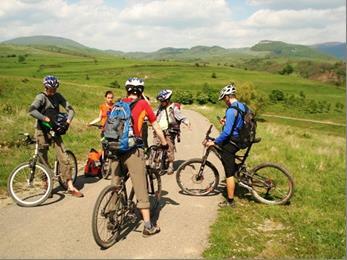 Today we enjoy soft cycling at the very border between Serbia and Bulgaria above Timok valley. On the way we pass by remote villages dotted with monuments from the socialistic period. The asphalt roads takes us so close to the borderline, that we can see some of the watchtowers that guarded strictly the border in the past times. Before we reach the town of Negotin, we visit the ethnographic villages of Rajac and Roglevo, full of local wine cellars. Some of the houses and their gardens are real pieces of art, putting the villages on the waiting list of UNESCO world cultural heritage. After a short drive in the morning we go to the Vratna Monastery and hike to the Vratna Rock Bridges – natural rock formations that rise high to 70m. Later we start we start cycling in the wild area of the Djerdap Mountains. There is a great chance to see a fox, deer or even a boar along the first couple of kilometers on our way. After some 20 km on a secondary asphalt road, we reach the road between Negotin and Donji Milanovac which takes us down to the waters of Danube. 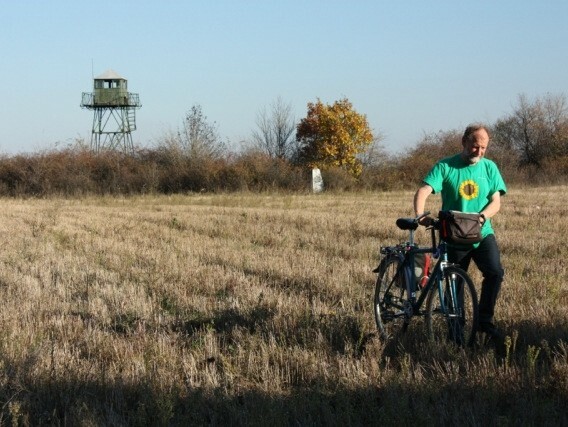 We cross one of the tributaries of the Danube, where we hit the European Danube Cycling Trail – EvroVelo6. After 6 kilometers we reach the resort town of Donji Milanovas, where we stay for two nights. Today is a day at your leisure and for relaxing. An optional tour can be made – Visit the archaeogical complex Lepenski Vir, located at the river bang 20 km away from the town – representing a huge excavation of prehistoric dwellings dating back to VI B.C. Today the dinner is at your own expense. A great day for cycling is ahead of us. We follow the Danube cycling route and pass by the narrowest places of the Iron Gate gorge offering magnificent scenery. The famous Trayan Table is close by and worth seeing as well as a short hike to beautiful viewpoints above the gorge. After some 50 km of cycling we reach the town of Kladovo, where we jump on the bus and head to the border which is 9 km away. After crossing we have an hour drive to the region of the Domogled-Valea Cernei National park. Today we start with a 2 hour hike, exploring the lands of the National park Domogled-Valea Cernei. We go into a gorge surrounded by limestone walls, covered with the endemic species Black Banat Pine (Pinus Nigra Banatica). After the hike we take the bus to our today’s cycling region – the southwestern part of the Carpathian Mountains called Muntii Almajului. We follow the river Nera on asphalt roads and soon after Sopotu village we go uphill, into the forest onto the panoramic pastures of Carbunari. Afterwards we enjoy a wonderful descent to the resort village of Sasca Monatana. We wake up today at the border of the National park Cheile Nerei – Beuşniţa and we start the day with a short hike from the village of Sasca Romana to the Nera Gorge. We visit the Turkish tunnels next to the river built for military purposes and then continue the tour byr further exploring the national park on our bikes. In about 2 hours we arrive at the emerald-green lake Ochiul Bei and further to the Beusinta network of waterfalls, lakes and cave formations. After that we bike backwards and have an afternoon transfer to the village of Valiug and Gozna lake, where we overnight in a very nice Gasthof in a small German community. In the morning short drive from Valiug takes us to Semenic mountains plateau at 1400m altitude that overlooks the high Carpathian Chain to the east. 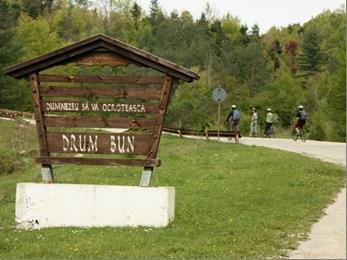 We start cycling and pass by the Semenic ski resor in order to descend to the ethnic German village Garana and town to the long Trei Ape Lake. We continue our descent down to Slatina Timis where we hit the main road to Timisoara. 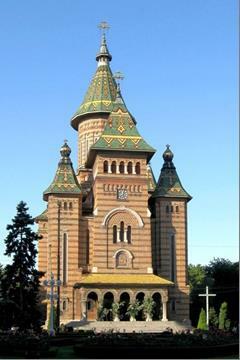 In the afternoon we transfer to the biggest historical and culture center in the region of Banat – Timisoara. If there is time left we can make a walk in the center, otherwise we leave for the next morning. In many respects, it is the abundance of Secessionist architecture that has provided Timisoara with its rather appropriate moniker, “Little Vienna” of Romania. Secessionism developed in two distinct architectural phases here. Sinuous lines and floral decorations characterized the first phase which lasted until 1908 followed by the second one until the First World War, which was characterized by simpler, larger buildings with geometrical designs. Secessionism in Romania was an important link between the Byzantine style and later modernist architecture. We visit the Victory Square with the Romanian Orthodox Metropolitan Cathedral and the Memorial Museum of the 1989 Revolution, the Union Square, The Roman Catholic Cathedral, the Baroque Palace and the Freedom Square. Free time at your leisure after the guided walking sightseeing tour. At night farewell dinner and end official end of the tour. English-speaking guide and driver is included. This tour can be easily tailored upon your request.